Today’s lightweight, advanced and custom packaging has made clamp pads an absolutely necessary accessory for every forklift. Clamp pads reduce the damage forklifts can cause on delicate boxes, crates and paper rolls. They give the grip needed to move inventory around a warehouse safely. You need them, you want them, but there’s one thing other manufacturers aren’t telling you – you don’t have to buy them new each time they wear out. Instead of replacing your clamp pads, let Sioux Rubber & Urethane recover them instead. Replacing the worn rubber on your existing clamp pads saves money and time. Let’s break it down. Recovered Clamp Pads Cost Less. When you buy a new clamp pad, not only are you paying for the rubber, but you’re also paying to manufacture a new plate. Since we are just replacing the rubber, typically our recovered clamp pads are a THIRD of the cost compared to buying new. That’s savings you can immediately put into your pocket. Recovered Clamp Pads Are Durable. We don’t skimp when it comes to our materials. Our recovered clamp pads are built to last. We use our proprietary Endurawear rubber which is vulcanized to the metal, creating an unbreakable bond. The only way to get the rubber off is to hand chisel it off. You’ll save money because you won’t have to replace your pads as often. Recovered Clamp Pads Are Easier To Change Out. Have you ever ordered a new set of clamp pads, only to struggle to get them back on your forklift? That’s valuable production time wasted. And, if the clamp pads don’t fit, now you’re wasting even more time sending them back and waiting for a new set to arrive. Since we recover your existing clamp pads, you know they will fit – they just came off your machine! The original mounting holes are used, making pre-drilling unnecessary. Recovered Clamp Pads Get To Your Door Faster. We offer quick turnaround times for all recovered clamp pads. 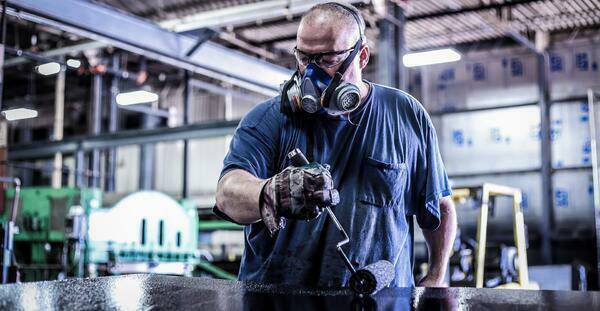 Our staff has been recovering clamp pads for more than 30 years using the highest-quality rubber compounds available. They know their stuff and know how to get it done right. The choice is clear. Stop wasting money and time. Let Sioux Rubber & Urethane recover your existing clamp pads. Download our clamp pad product sheet or contact us below to get started.